Early 1900 Villalaan in Oosterbeek turned into a high street, eventually growing into Oosterbeek town centre. 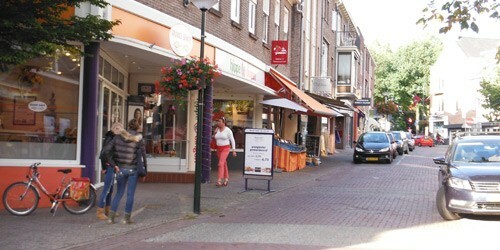 Today, in 2012, Oosterbeek has a range of more than 55 shops providing all you need for a great day of shopping. 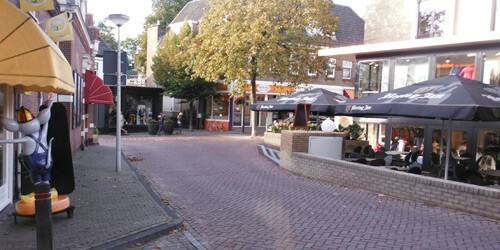 Oosterbeek has many streets boasting surprising shops, boutiques and specialist shops. Weverstraat and its special shops and range of products is just one example. This street is home to shops selling fun gadgets, the first real wine specialist shop VAN DE WIJNEN and Intimici, thé lingerie shop in Oosterbeek. Other shops worth popping into in this street are Pippi Rosa home accessories and gifts, VIOLY’s beauty care & accessories, ‘Buurvrouw & Buurvrouw’ children’s clothes and gifts, Country Clothing Oosterbeek, Top-Jills, Hippe-Dingen, Puk en Co and many more. There are plenty of shops in the other shopping streets too. Just drop in at Meike Fashion & More or Odette. Besides shopping Oosterbeek is also a great place to have a tasty lunch and a lovely cup of coffee or enjoy a piece of cake in an outdoor café. Oosterbeek is within easy reach and has ample parking facilities. Let yourself be surprised and come shopping in Oosterbeek!